If I ever decide to thru hike again, my goal would be to blog more. We hiked into Hanover on a rainy Monday morning. The hike into Hanover was a lot of road walking. I didn’t mind the rain as I was shortly about to enter my home state. Once we got to the bridge we took the obligatory state line photos. 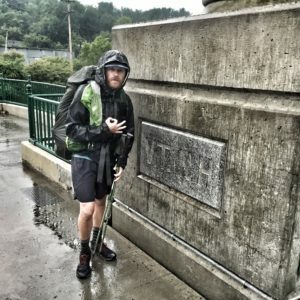 Got into Hanover, went to the post office for the resupply box then went to the pizza store that we had heard gave thru hikers a free slice. After that, a few of us caught a movie in town. Great Nero day. That night I stayed with an old high school friend, Jeremy. The first bit of NH was okay, I had never hiked from Hanover to Mount Moosilauke before. Moosilauke was a good climb with some great views of what was to come. 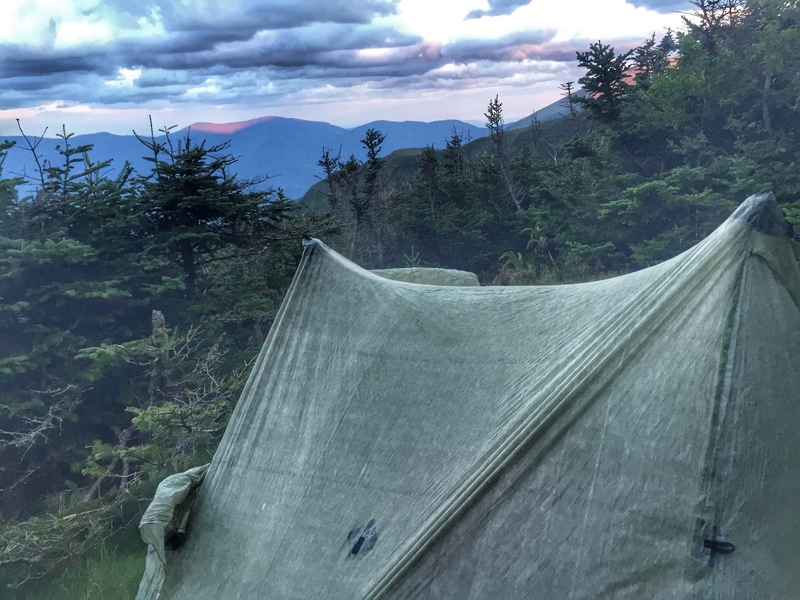 That night we stayed at the Beaver Brook shelter, which has a good view of Franconia Ridge. The next day was a tough hike. 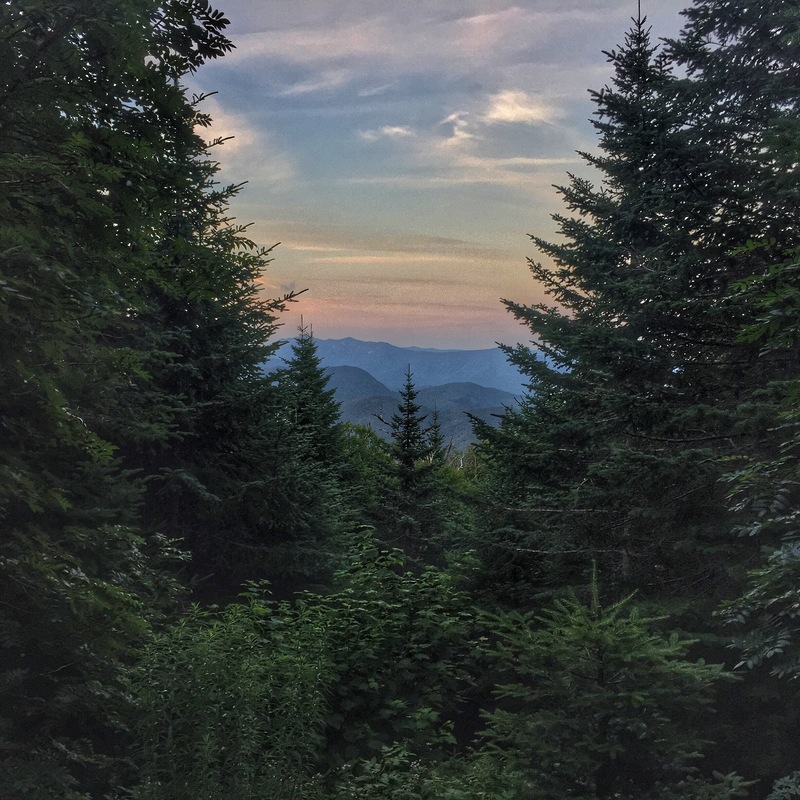 We hiked from the Beaver Brook shelter into Lincoln, NH. Not entirely into Lincoln, as I stealthed camp right next to the Flume Gorge visitor center to get a resupply box. The lady at the visitor center told me that it looked like I had the thru hike figured out, boy I think she was wrong. She should have saw my sleeping pad. The next day we did laundry and did a resupply in Lincoln. One of my best friends, Justin, was in Lincoln that day so I got to grab lunch with him. After lunch I met back up with the hiking group (Pickle and Wheels) and we charged up Franconia Ridge. This was really the first above tree line hiking on the trail. The weather was a little rainy, a lot windy, but we absolutely made the most of it. We hiked to Garfield pond and called it a day. Garfield pond has a cool little stealth hiking spot. The next day we hiked from Garfield to Webster Cliffs. Got to see my brother, my sister in law and my niece along route 302. That’s some good PMA (positive mental attitude). From Webster Cliffs we had, in my opinion, the best hike on the trail so far. We hiked from Webster to Jefferson. We got a little bit of bad information on where we could set up camp this night. Hiking above tree line is some serious stuff, especially on the Presidential Range. Our group of 4, never panicked. We actually all decided to sit down, eat some food and come up with a game plan. We decided to take a certain trail which ended up being the correct option and we found the only stealth spot in the area. This experience was surreal, I’ve just met these guys a couple months earlier, we hiked hundreds of miles together, been through some stuff, but the way that we all handled this situation still astounds me. Hiking through my home state in the middle of a thru hike has been incredible in so many ways. We often times take for granted what we have here. I walked through the state with a certain awe, stopping from time to time to eat the wild blueberries that grow here. Leaving New Hampshire is bittersweet, but I am excited for what’s ahead. One of the things that I have enjoyed in this through hike is the fact that you hike different mountains every day. The terrain and forests change daily. Being in nature every day, every moment. Being in contact with nature, the rocks, the trees, the wind on your cheeks, the actual world! I am currently in Stratton, ME sitting by the fire with family and Pickle reminiscing about the past 4.5 months. 11 days to the summit date!!! A little surreal. My Mom just texted me “You need to enjoy these last few weeks! Sun rises and sun sets and everything in between.” Well put Mom, well put.